As more and more UK companies turn to export to fulfil their overseas potential, many success stories are down to avoiding simple errors or overcoming them. 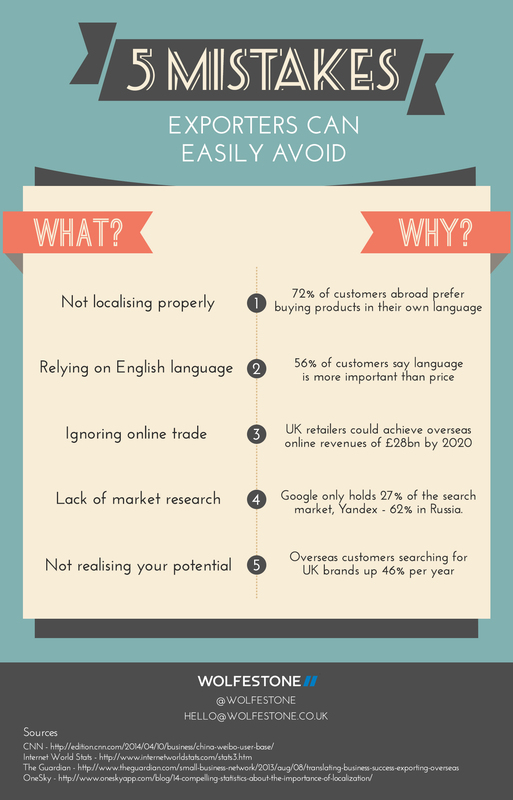 Relying on the English language, for example; 56% of customers saying language is more important than price, meaning you could be missing out on huge potential by ignoring this. Inspired by export week this month, we thought we’d take a look at the 5 mistakes exporters can easily avoid.